I don’t care for clutter. 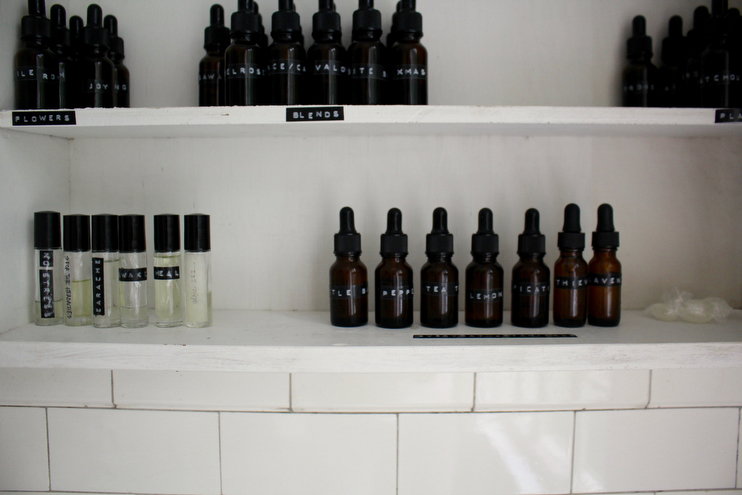 I wanted the oils to live in one major location, with the exception to a small few in the kitchen pantry for cooking, diffusing, cleaning, and various seasonal remedies. If visible, wanted the individual bottles to be pretty and functional. The YL labels are not my favorite. I wanted said system to allow me to find oils rather quickly. And last but not least, I wanted them to be out of reach for the kids. Simplicity: One of the ways we keep our home looking like it does, well…for the most part anyhow, is the lack of clutter. And you’d be surprised much this truly helps our home stay clean. We try not to keep things on the countertops if we don’t have to, and we tend to make sure to get rid of things that stack up quickly. You can read more about this here so I won’t get into the topic of maintaining simplicity at home in great depth right now, but can bet this rule applies to our oils as well. Because we have acquired so many oil bottles over the years, it was important to me to store them properly without having them lay all around the house. Not only was this important regarding efficiency when needing an oil, but also making it the bottles don’t clutter up our home. So, a simple system is what I came up with. This leads to the next point, location. Location: I tried quite a few different locations before settling on the upstairs bathroom at the main hub for our oils. I first had them stored in our kitchen pantry, but found myself going down to get them all the time when needing to mix something up or when diffusing in our bedrooms at nighttime. With that in mind, I decided to turn our medicine cabinet into the home for our oils and I really love it. My grandpa made that darling cabinet out of old barn wood from his farm and I love that it now houses bits of nature we use to keep our family healthy and whole. The white wash on the wood is beautiful and the glass gives extra charm, allowing us to peek inside. 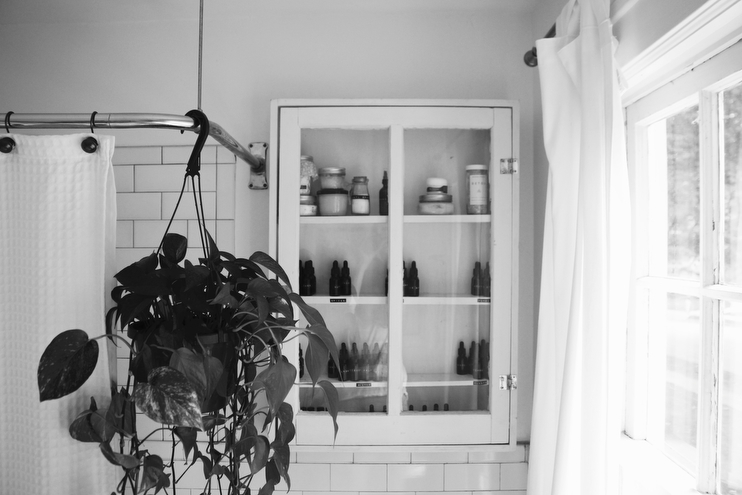 Storing them in the bathroom makes most sense to us and keeps the visual clutter out of the way. By having them in a cabinet, they are all in one place. This is so important because there is nothing worse than needing an oil and not being able to track it down. By use of a cabinet, each oil has a spot on a shelf and is properly labeled to make things even easier for both Andrew and I. No matter where you house your oils, try to keep them all in one main place. Beauty & Functionality: I have received many messages and emails about why I have chosen to store our oils in these 1/2 oz amber bottles and not the ones they originally came in. I started doing this awhile ago and haven’t looked back since. For one, it is much more beautiful than the original packaging. Beauty is very important to me and spills over into all aspects of my homemaking, oils and wellness being a major component of this. Sure, it takes time to type out the labels and pour each oil into it’s new vessel, but I think the end result is worth it. I also love that I can make my own oil blends this way and have found that it is much easier to be precise with drops using the dropper than the YL bottle itself. You can find the .5 oz amber bottles here and here and the label maker here. You can of course skip this step. How you choose to organize your oils is completely your call and the goal should be to make your life easier. Safety: For fairly obvious reasons, don’t keep your oils where your babes can’t get their little hands on them. Make sure to store your oils in a cabinet high up or on a shelf out of reach. We all know kids are very good at opening anything and figuring out a way to get what they want, so take the extra step and lock them up. Since taking these photos I have secured a little safety latch on this door so even Stella can’t get in. She is one crafty goose and I don’t even want to risk it. ABC Order: Why didn’t it work for me? Twenty six groups of oils made things too specific and ultimately much too hard to adhere to in the end. Eventually, I starting putting “M” bottles next to “S” bottles and “L” bottles next to “O” bottles and then it all went to heck. I had good intentions but it just didn’t pan out. ABC order is only going to work if you have a gigantic wall dedicated to oils and that is not something I want to look at everyday. Moving on. Color Order: If you are users of YL oils, you know they each bottle comes in a certain color. This order created two problems for me: 1) I don’t use those original colored bottles and 2) who has times to memorize all the corresponding colors? Out went this system very fast. If you want to keep the original bottles and are a fan of rainbows, you may however, really like this method. Ailment Order: While this sounded like the best idea of the bunch I found it to actually be the worst. One of the wonderful things about essential oils is that one single oil can be used in dozens of different ways. Take lavender for example. We use it for minor burns, scrapes, to help us sleep, in our bath, in moisturizers, in laundry detergent…the list goes on and on because lavender is amazing. You can see why organizing oils with regard to their specific category of wellness doesn’t work, because that’s the glory of oils! Each one can be used in a wide variety of ways in the home to help balance and heal. There is no one oil for this or that unless it is a very specific blend or remedy, in which case, you probably made it yourself. Botanical Family Order: Here she is! My new system. I decided that grouping my oils into eight (and not 26) simple categories was a very manageable way to store and locate them. Why hadn’t I thought of this before? Each oil belongs to a botanical family of sorts. You have oils made from trees, flowers, fruits, shrubs, grasses, roots, nuts and leaves etc. To organize each in a way that corresponds to where they originated makes sense, because not only does this make it easy to find each bottle, but also because it can help guide you when wanting to explore a certain oily theme. Herbs – This group houses the oils that are also herbs one could find in the garden and can use while cooking, among various other remedies: think rosemary, oregano, basil, sage, fennel, thyme and dill. Citrus – This group houses the oils that are found on fruit trees: think grapefruit, lime, orange, lemon balm and bergamot. Flowers – This group houses the oils that are one could find in the flower garden: think rose, ylang ylang, chamomile, geranium, jasmine and blue tansy. 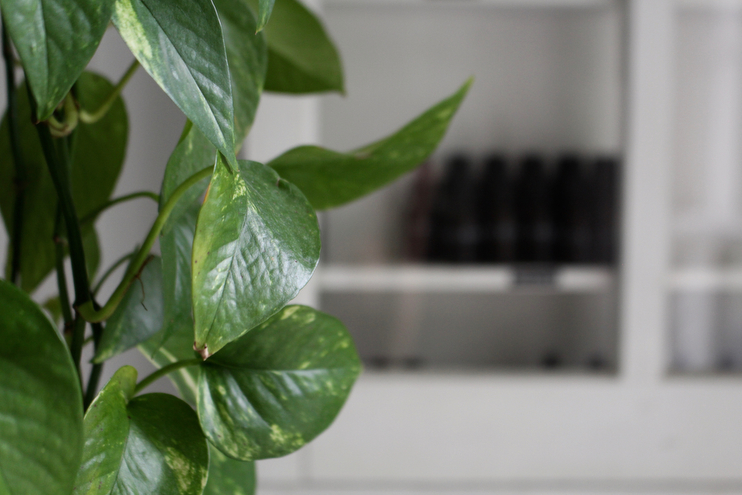 Plants or Shrubs – This group houses the oils that are found in the plant family excluding things you can cook with (such as herbs) and flowers: think all the varieties of eucalyptus, patchouli, vetiver, angelica, citronella and wintergreen. Trees – This group houses the oils that are found in the forests, specifically conifers: think fir, cedarwood, spruce, frankincense, sandalwood, pine, palo santo and myrrh. Spices – This group houses the oils that are also can be found in the spice pantry of your kitchen: think ginger, black pepper, nutmeg, cinnamon, clove and lemongrass. Blends – This group houses the oils that are blends: think citrus fresh, di-gize, stress away, joy, melrose, peace and calming, R.C. and sacred mountain. Everyday Botanicals – This group houses the oils that are used most often by our family. Right now they include the following seven: thieves, purification, lemon, gentle baby, lavender, peppermint and tea tree. To learn about essential oils and their link to wellness click here. To discover homemade remedies using essential oils click here. To get your hands on oils and become a part of our YL family, click here. To learn more about Young Living’s pure and organic process, click here. Bless you Amanda! Now that my little one is mobile I need to reevaluate my oil storage! This is glorious for my organizing soul! Question! How do you clean your diffusers? And how often? I think my YL diffuser is dieing on me 🙁 I use it quite frequently for my little bubs! so love all of your posts (i made your laundry detergent last week and bought some epsom salts to make some fabric softener today). my oils are scattered all throughout the house, so some sort of system is definitely needed. Really loved this post and everything on your blog.